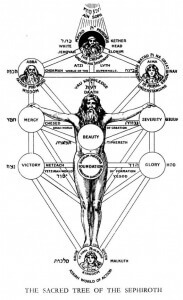 When I started in practical magic I was told to treat kabbalah, and the tree of life like a filing cabinet. It was, I was told an effective system of syncretism which allowed similar ideas to be catalogued. The ultimate expression of this was Samuel Mather’s 777 which was pirated by Aleister Crowley. Over the years, I have become less enthusiastic with the Tree of Life model which is the basis of the Western approach. I don’t think it productively works and falls to bits too easily if it is changed. Most obviously, there are the planetary attributions which are way off. Placing Saturn in the Supernal triad makes no sense at all and results in some rather daft polarities. Venus does not polarise against Mercury, nor Mars against Jupiter. Jupiter might be expansive but it really polarises against the constrictive Saturn. The position of Geburah (Justice) as being a Martian force is in the wrong place on the pillar of form which is a passive matter orientated pillar in opposition to the pillar of force. Attempts historically to rectify this using the planetary attributions of the Athanasius Kircher, (in “Oedipus Aegyptiacus” 1653) might fix the planets. But it breaks other aspects of the tree which are important. For example, Saturn ends up in Chesed, Jupiter in Geburah which fits quite well. Mars in Netzach polarises with the now watery Venus in Hod. Mercury has a good position at Yesod (where it becomes air) and Moon takes control of everything else. Of course, it requires a few mind flips but it mostly works better – at least as far as the planets go. However, it pulls apart huge chunks of western magical training in favour of new material that most magical systems like the Golden Dawn cannot take. This would mean hexagram attributions being dumped, gods being rethought – the list is endless. But the biggest problem I have with the western mystery tradition kabbalah is that it largely attempts to ignore the main function of kabbalah as a Jewish mystery tradition. Most modern magicians believe that the Kabbalah they are taught in schools like the Golden Dawn is real kabbalah – it really isn’t. I was lucky to study a little bit of Hebrew kabbalah and it is different. It has different goals and some different methods. It is focused on the Bible and literary texts like the Zohar and wrestling out the magic of the words. More mystical techniques are focused on the words themselves, but this comes from a basis of the Hebrew beliefs about God. It is a paradox because many occultists use Kabbalistic methods and admit that Jewishness of the system while refusing to acknowledge what the system is trying to teach them. It is a neo-platonic mystical form of Judaism. The fact that it is Judaism is one of the reasons that Christian cabbalists could add their own veneer too it. Ultimately it still leads to a mystical experience which is not orthodox Trinitarian Christianity. There is nothing wrong with this. If you have a mystical bent and you follow Judaism, Christianity or the Muslim faiths then kabbalah is a good way forward. In fact, for the best part of three decades it has taken me to places I have enjoyed going to, extremely effectively. The only problem is that after I finished my Shem Grimoire book suddenly it all stopped. It was not that the system ceased to work for me, it is just that I did not want to go to the places it took me. It no longer mattered to me how may angels play bingo on the eastern wall of heaven and the implications of the breast plate of the High Priest. I was becoming more interested in what is now called pagan contacts. I also started to notice some of the faults of the Western Mystery Tradition’s approach to Kabbalah. 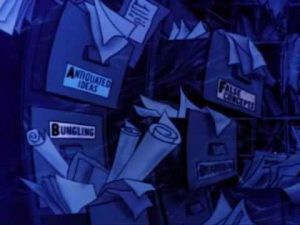 Some magicians were starting to make statements based on rubbish that had been stuffed into that filing cabinet by mistake. You find people talking about the Abyss as if it is a real place, others wittering on about how Yetzirah is the unconscious self. Not only are these ideas wrong kabbalistically, they end up confusing people magically. This manifests as endless discussions about the correct pronunciation of Hebrew, boring attempts to reconcile different angelic systems so they all fit into a nice ordered filing cabinet. Part of the reason Kabbalah started losing its shine was knowledge I stumbled across when I was researching my more pagan approach to magic. I started to scratching around the historical roots of western magic rather than standing in the 21st century and looking backwards. Rather than seeing everything from the 16th century onwards as being an evolution of magic, I started to look at what was done in ancient times. To a Medieval magician, the Jewish Kabbalah was impressive. 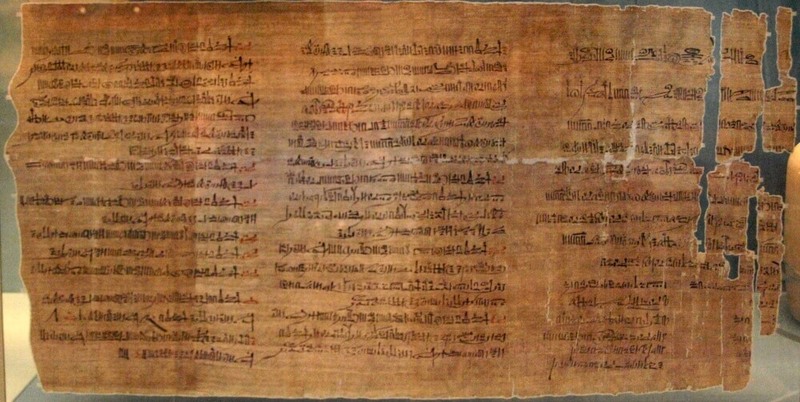 It involved looking at a magical script which was mistakenly believed to be the original language of Christ and the Bible. Later magicians, just as John Dee considered it a corruption of the language spoken by Adam and the Angels, but it was still holy. As a result, Kabbalistic ideas and techniques managed to overcome the rampant anti-Semitism of the last 800 years to find a place, in a watered-down form, in the structure of Western magic. But in historical research you can find that the roots of Kabbalah are not within Judaism at all. The most holy of alphabets is an adaption of Phoenician, which was itself based on a few ideas borrowed from Ancient Egypt. This language was further codified in Babylon into the letters we see now. Concepts like Aleph was a bull, Beth was a house etc. were never central to the meaning of the letters (sorry Paul Case). The number system important to Kabbalist Gematria was not allocated to the Hebrew letters until the Maccabees and was adapted from Greek. Ancient Greek was derived from the Phoenician script with the addition of vowels to make the words pronounceable. It also had letters representing numbers in the same way we see gematria. In other words, Hebrew is no more holy than Greek and has considerable disadvantages when it comes to its role as a magical language. Not only did Greek have seven vowels which were allocated to planets, it had five letters which could be attributed to the elements and 12 letters which could be attributed to the constellations and or the Olympic gods. Greek was a language to be spoken, and therefore was a better symbol for the Logos or word of god, or divine ideas. Rather than emerging from Jewish thought, there is more evidence to suggest that mystical Judaism emerged from the Hebrew communities in Alexandria. Many of the key ideas of Kabbalah are linked to Greco-Egyptian philosophies and magic. Sepher Yetzirah which is the base book of Kabbalah is believed now to be a Hebrew working of a long lost Greek text which was based around that alphabet and language. For a while I wondered why in the Sepher Yetzirah it refers to God by the name יהו instead of the more traditional tetragrammaton. This might be because the writer was using the name in Greek IAΩ. This name was the name given to the Tetragrammaton in the Greek translation of the Old Testament but was also a name given to Jupiter and was a mystical cry in the mystery rites. IAΩ was the letters of the sun, moon and Saturn in Greece, but it was also the first, middle and last letters of the alphabet. Translating it back into the original Greek it starts to make sense in that context. He looked to the right and sealed the South, with Ω I A. He looked behind and sealed the West, with Ω A I. He looked to the left and sealed the north with A Ω I. He looked below and sealed the deep, with I Ω A. He looked above and sealed the height, with I A Ω.
I felt it made sense for me to go back to the source of the Kabbalistic tradition and look at its more pagan roots. The techniques and the concepts which I liked in Hebrew Kabbalah were all there, but they were free from the Judaic-Christian approach which I am finding increasingly alien right now. Before I finish I should say that I am not finding that there is anything wrong with Hebrew Kabbalah, although I do think that the Western Mystery Tradition version of it has issues. The latter is good enough to start your path and train. But do not take it too literally, after a while you might have to move from it, either into true Hebrew kabbalah or into something different completely. In my case I have discovered for my self a Greek “Kabbalah” which is providing me with a lot of answers and carrying on my journey. This does not mean that i have had to change anything within the Golden Dawn side of my group, more than my second Order has something a bit different. I appreciate your critical honesty. I am much more in the Jewish Kabbalistic school, about self-denial to become \\\\\\\”Bittul\\\\\\\” or \\\\\\\”little\\\\\\\” in ego. The Will being the \\\\\\\”Yetzr haRa\\\\\\\” or \\\\\\\”evil yeast/Will.\\\\\\\” I appreciate your sharp differentiation. The pillar of form is not passive – it is as active as the pillar of force, except that the action is one of restriction and limitation rather than expansiveness. So Gevurah/Justice is rightly placed there, as is the martian aspect as, when you think about it, martian force is used to stop, limit, disempower another (person, nation etc.). That is why uncontrolled Gevurah is cruelty because the martian influence goes beyond its own proper boundaries to become a martian force for its own sake. Justice should always be limited to what is necessary and not go beyond it. Again, a good reason why it is on the pillar of form. Saturn’s restrictive influence goes far beyond countering the expansiveness of Jupiter. Both Jupiter and Mars operate within human boundaries, whereas Saturn is concerned with the restrictions of the human condition itself. And that’s why Saturn is in the supernal triad because once you break free of the restrictions of being human you could say you’ve ‘crossed the Abyss’. You see that is where it does not work. Justice is a passive concept and directive. We only claim that it HAS to be ACTIVE because lots of people have told occultists that Geburah is mars. Dion Fortune described it as a demolition force. But in fact if you look at all those spheres on that pillar they are all containing and restrictive where as all the spheres on the white pillar are all energy related. Justice itself is the law which forces energy to be contained and directed into certain agreed purposes. The name Geburah literally means “strength” which is energy contained and directed… it is not the martian free flowing energy of war, or demolition. Placing a destructive force is the opposite of the ideas of the pillar of form. Saturn has too little to do with Binah which is the principle of universal creation. The only saturnian attribution which fits with Binah is Time however if Saturn can be placed across the abyss, then all the planets can (which not literally true). Hockmah is the reflection of God in Kether, Binah is the polarity of this… so this rules out it being a planet as it is too small. You do know that nothing you ‘ve said here has ANYTHING to do with Jewish Kabbalah. I’ve always supported the “new” hermetics that might reflect Aleister Crowley’s OTO because I’ve appreciated the work they did developing the Tarot, something the Jewish Mystics never did. Unfortunately, because Jewish/Christian relationships were curtailed by the Inquisition during the Renaissance there’s been a great deal of misinformation and confusion around Kabbalah promoted by 17th Century French Occultists which is why academics cannot take magicians seriously. The WHOLE point to Jewish Kabbalah is they created a means to show how God comes through the veils of reality to interact with his designated people. This descent is covered in Jewish religiosity that attempts to hide the seed from which this Tree of Life sprouts, namely the Hieros Gamos at Yesod. Before publishing anything linking Jewish and Hermetic Kabbalahs (which has nothing in common), read Gershom Scholem — I have immensely enjoyed 3 books: On the Kabbalah and its Symbolism, Origins of the Kabbalah, Kabbalah. You will find 1. Jewish Kabbalah does not recognize the importance of emanations between Sefirots, 2. no planetary associations, 3. a recognition of Divine intervention, something the Hermetics entirely disregard in spite of Jack Parson’s Babylon Working and Aleister Crowley’s Aiwass. Explore other perspectives than the Hermetics’ creativity gleaned from this deep esoteric piece of Mysticism that’s actually been around much longer than the Jews. Interactions with gods has been going on a long time. There are other paradigms to explore before throwing the baby out with the bathwater. It is never a good idea to assume that someone is just ignorant or has not read the same books that you have if they have a disagreement with your life path. We are not all stupid for not reaching the same conclusions as you. I have read pretty much all of Scholem’s books during the years I have been doing both hermetic and Jewish Kabbalah. In fact I got into Jewish Kabbalah in a bid to fix the weaknesses in the Hermetic Kabbalah and for a while it worked. I am also aware of the difference, ultimately I do not feel that Jewish Kabbalah unlocks itself completely to those who are gentiles. I disagree that Jewish kabbalah is not an emanation system (it follows Neo-Platonic thought rather too closely for that), but I agree Tarot, the planets had nothing to do with it…. but that is sort of my point. People can follow their own way on this, it is not a big realisation, but a gradual one. I still see both as being part of the training of a modern magician, I just don’t see it as being my path. If you don’t see it as being your path, then it’s not your path. I believe Amanda’s comment is excellent. I wish you well. This was an interesting blog. Thank you for posting it and allowing other’s to see your perspective. What exactly do you mean by Hieros Gamos being at Yesod? Well, it makes sense to say that Malkuth is pure reflection of Yesod, but then that would mean that we have same “holy union” of Kether in Yesod, that is Malkuth. I wonder if you are familiar with Stan Tenen’s explorations into the origins and functions of the Hebrew alphabet? It’s not quite Kabbalah or sacred geometry per se, but something beyond and in between. At any rate, it might prove interesting in your own further studies. He’s got a series of DVDs, which i think are all also on YouTube, and a book as well as a newsletter. I’m not remotely as knowledgeable on these topics as any of you, but I find his methods and conclusions quite compelling. Would be interested to hear your take. Interesting work, as per the norm for you. The one thing I disagree with is the origin of the Greek alphabet. Yes, it does come from the Phoenician, however both the Phoenician and Hebrew derive from the same \”paleo-Hebrew\”, which itself came about as a result of the collision of the Ugaritic cuneiform-based alphabet (the first known alphabet/abjat in history) with Egyptian hieroglyphs. Basically, the Ugaritic idea of a succinct, sound-based writing system was made easier to write by ditching the wedge-shaped cuneiform, and replacing it with simplified hieroglyphs which were commonly used to mark trade-goods at the time. While it may not be obvious at first glance, there is a clear evolution from one alphabet to the next, often resulting from turning a character sideways, upside down, or using simplified strokes to make the job of writing a little bit easier. Yes, alef/alpha was an ox-head. Turn the Greek Alpha upside down, and you see a triangular head with two horns… reoriented and simplified to three strokes that have become the norm for most Western languages today. Not all of the common attributions of the Hebrew as hieroglyphs are accurate (Q or qof for instance began as a picture of the sun rising over the horizon, then was turned sideways and stylized… the \”back of head\” or \”ear\” idea is later guess-work, not correct historical knowledge). Likewise, the Greeks were not the first to use their alphabet as a numerical writing system… it was just how people wrote numbers, not unique to Greek or Judah-ite scribal tradition. I like your willingness to re-evaluate the often clunky and unnecessary elements of Western Magic, but the paleo-Hebrew is worth your time to study up on. Blessings be upon you and yours. I think you will find the Phoenician was there first… I agree with you about the alpha but that was one of the 14 letters from Phoenician which was transported completely over in Ancient Greek. I think you mean Proto-Canaanite which is not the same as palo-Hebrew (which was a little later). The proto-Cannanite was the root writing for Phoenician. Until the Maccabees the Hebrews did not give numbers to letters. The first evidence appears in a Maccabee coin which was after the Greek occupation. Before that they used Greek for numbers I guess the Maccabees were unhappy about the hated Greek letters still be used. It\’s a really interesting approach, Nick. I totally agree when you say about people who assumes Kabbalah as the ultimate truth, this kind uses to confuse the ending with the pathway. Personally I use to approach Kabbalah as 777 tool towards one\’s truth, and in the psychology behind relations to the Soul\’s parts. You did it again! This is a piece of stupidity! One thing that practicing Magick has taught me is that one doesn’t have to do a ritual–or anything else–perfectly, or even right. One only has to FEEL that they are doing it right. You have to be in the appropriate state of consciousness. Put yourself in the right frame of mind for whatever force you desire to invoke, and it will work just fine. The rest is a lot quibbling about nothing at all. Manage your state of mind and emotion, that’s it. Manage and control your psyche. It makes not a scrap of difference whether Mars belongs in Geburah or elsewhere. It only matters what works for YOU! It matters not one whit what the origins of Qabalah are, where it came from, whether it is Hebrew or Greek, and so forth. Such things are quite beside the point. Nick is going on about irrelevancies. Furthermore, this kind of talk causes confusion, adds to the muddle of an already very muddled subject (magic and the occult), and muddies the waters still further. Then what happens is that the Subconscious Mind of the practitioner gets confused. Doubts creep in. (S)He doesn’t know which symbols belong where, whether Mars is the Mundane Chakra of Elohim Gibor, or if Saturn is appropriately in Binah, or if she should go to Netzach to invoke Venus. A fine mess you’ve got us all into! Reminds me of those crackpots who come up with a new system of magic that they have invented. Perhaps Atlantean or pre-Atlantean, Lemurian or from the MU Continent. Whatever for? A ‘system’ is simply a means to an end, a vehicle of transport, to bring you to God-Head and enlightenment. Any system will do, and they all work just fine. So why invent a ‘newer’ one? It’s like bringing us a new religion. What was wrong with the old ones? Why do we need another new one? I am glad you are happy with kabbalah and I am sure that if everyone followed your beliefs there would be a lot less confusion. 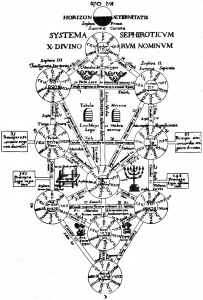 I am not suggesting that we need a new kabbalah I am suggesting that research has lead me to the roots of the old one. Where do you suggest we start in studying the occult then? How do we start understanding magic and avoid these complex issues that you say are not essential to magical studies (which mr. Farrell seems to agree with)? You start where you always did… in the basic systems based around kabbalah and agrippa… but you dont hold to the concept that this is everything and sooner or later you will have to move on to something else which will be dictated by your own contact and personal spiritual direction.